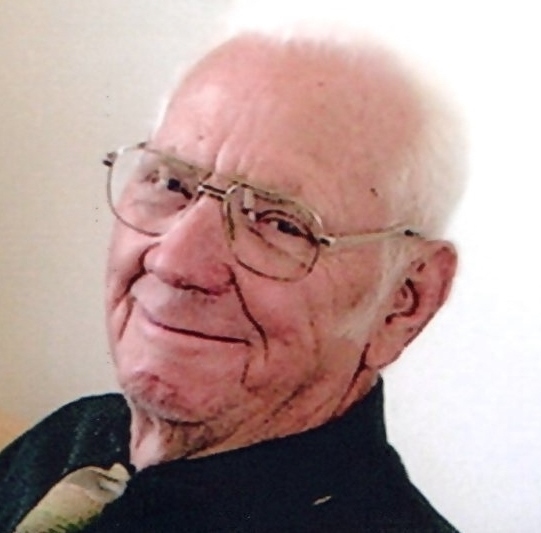 William Douglas “Doug” Ashcraft, 86, died on Thursday, April 26, 2018, in Prineville, Ore. in the comfort of his home surrounded by family. A memorial service will be held on Friday, May 11, 2018 at 2:30 p.m. at the Church of Jesus Christ of Latter-day Saints in Prineville, Ore. Dinner immediately following service. Doug was born on October 27, 1931 in Lone Wolf, Okla. to Jim Bob and Rachel (Dorries) Ashcraft. Doug was the second of three sons born to Jim Bob and Rachel. The family moved to Arkansas when Doug was a young boy. The family travelled west to Oregon in June 1942 to work in a local mill. Although they initially settled in the Idanha area, they relocated to Prineville in 1948 where Doug spent the remainder of his life. He attended Crook County High School where he played football and was in FFA. On September 18, 1951, Doug was drafted into the United States Army where he served until being honorably discharged. Doug met his wife Dorene Williams and the two were married on October 31, 1952; they were later sealed for time and all eternity in the Oakland Temple on March 20, 1973. Together, the couple raised four daughters, Renae, Vicki, Janice, and Jennifer. They fostered numerous children. Doug took great pride in raising daughters who he taught to be hard-working and self-sufficient as those were values he held dearly. Doug loved the outdoors and worked with his father as a logger after his time in the service. In 1957 Doug went to work for the United States Forest Service where he remained employed until the time of his disability. Doug believed strongly in the importance of being a wise steward of natural resources. Forest Service green and the smell of pine were constant features of the Ashcraft home. Doug was a man who felt a strong sense of civic responsibility and was actively involved in the community. He spent many years volunteering for the American Red Cross as a first aid instructor. Doug was also involved with the Prineville Special Police Force and volunteered as a Deputy for the Crook County Sheriff’s office. Throughout the years, Doug was honored with multiple awards and merits of recognition with his highest achievement being named Citizen of the Year. Doug’s greatest passion, however, was working with youth in the Boy Scouts of America. Doug dedicated over 65 years to the Boy Scouts and was highly decorated in the organization. In 1972 he was given the Award of Merit and in 1974, the Silver Beaver. Titles and awards weren’t important to Doug but humor was. Although he never earned the rank of Eagle Scout, Doug was a self-proclaimed “Buzzard.” According to Doug, a buzzard can fly as high and soar as long as the eagle, but no one cares. He generously shared the title of “Buzzard” with many of his fellow Scout buddies that he held in high esteem. Doug was an active member of the Church of Jesus Christ of Latter-day Saints. His faith brought him great peace and comfort regarding the eternal nature of families. Doug is survived by his wife of 65 years, Dorene (Williams) Ashcraft as well as his four daughters, Renae McInnes, Vicki Birkby, Janice (Gordon) Radabaugh, and Jennifer (Robert) Goff. He was a very proud grandfather to seven grandchildren (Sarah, Patrick, Jodi, Justin, Rachel, Christian and Matilda) as well as four great-grandchildren (Gwendolyn, Alice, Rowen and Grayson). Doug also leaves behind a multitude of nieces and nephews. Doug was known for his love of rocks and jewelry making, The family would like to encourage anyone to wear items given to them by Doug as a tribute to his long lasting legacy of generosity. Memorial contributions may be made to the Nephrology Department at Doernbecher Children’s Hospital in Portland, Ore. through Juniper Ridge Funeral Home.